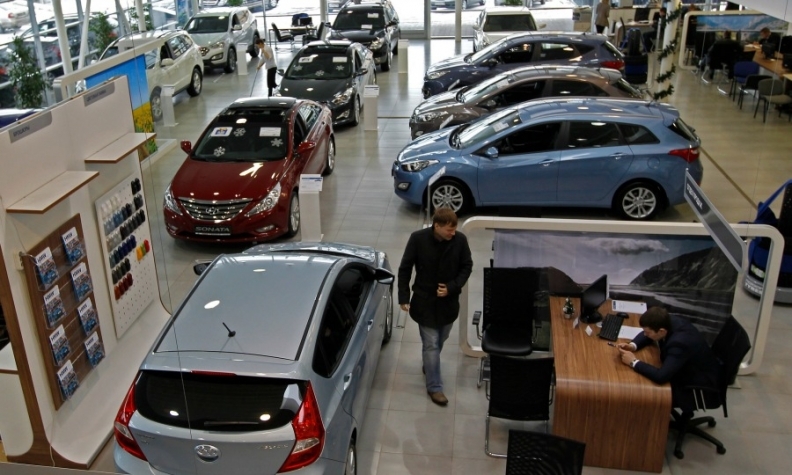 New-car sales in Russia fell 11 percent to 1.42 million last year, according to data from the Association of European Businesses (AEB). But despite the decline, the Moscow-based lobby group predicts that Russia is nearing the end of an extended market decline and may pick up in 2017. "In 2017, the AEB believes the market has the potential to end a four-year period of decline and to return to moderate growth. Total market sales are expected at a level of 1.48 million units, or 4 percent above 2016 result," Joerg Schreiber, chairman of the AEB Automobile Manufacturers Committee, said in a statement on Thursday. This view was backed by Nicolas Maure, CEO of market-leader AvtoVAZ, which makes Lada cars, who said sales could increase by as much as 5 percent in 2017, helped by state support measures and improved economic growth. "I would say that by the end of April we will have some view on the real trend," Maure told reporters on Thursday. "Very good news is that the Russian government has confirmed the extension of a fleet renewal program and loan subsidizing. This is excellent because it is clearly contributing to a huge portion of the market volume." Additionally, representatives for Kia and Ford's Russian venture, Ford Sollers, said they saw 2017 sales rising by up to 5 and 10 percent respectively. The AEB had said last year it expected demand to fall 10.3 percent to 1.44 million units in 2016. After a decade of annual sales growth in excess of 10 percent, Russia's car industry had been poised to pass Germany as the region's single-biggest market, but instead the country's economy has succumbed to an economic crisis fueled by low oil prices and Western sanctions over Moscow's actions in Ukraine. In December, sales fell 1 percent to 145,668, following a 0.6 percent rise in November, the first month with a positive year-on-year result in almost 2 years. Sales at Lada rose 18 percent in December as the marque continued to benefit from strong demand for two new compact models, the Vesta sedan and X-ray crossover. Volume at Hyundai, the No. 2 brand, rose by 12 percent, while third-placed Renault sold 15 percent more vehicles last month in contrast to alliance partner Nissan, whose volume fell 17 percent. Kia, at No. 4, saw registrations fall 13 percent, while sales at fifth-ranked Toyota dropped 7 percent. Among other major brands, VW brand sales slipped 4 percent in December, while Skoda registrations rose 9 percent. Ford's sales slid 8 percent. • Download PDF, above right, for Russia sales by automaker, brand and model for December and 12 months. Russia sales December, 12 months.